BrewDog excel at big Stouts and IPAs, and this one is a beautifully packaged mango Chilli IPA. There’s a delicious vanilla tinged Iced Gem and fruit salad chewy sweet aroma as the beer sits a pale gold in my glass. The mango lounges at the back of this beer, adding a soft fleshy fruit background to a drink whose chilli rips into your face. 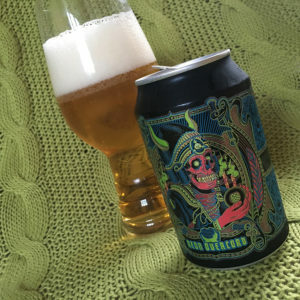 Sure there’s a soft caramel and wafer malt, and you can even find a sherbet lemon and bitter grapefruit hop presence, but this beer has a chilli hit so big it slashes at your throat, building and building with each mouthful. But you have to keep drinking as the mango peeps out right in the finish with a little fruity kiss. 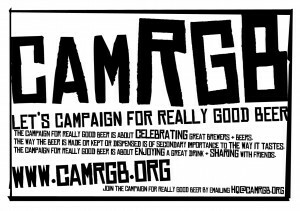 This entry was posted in Beer Review, CAMRGB and tagged Beer, Beer Review, CAMRGB, Can, Canned beer, Chilli Beer, Drinking, Fruit beer, IPA, Mango. Bookmark the permalink.